If 2015 has brought with it the sound of wedding bells, then you’ll need the inside scoop on Long Island’s hottest wedding venues! Are you hearing wedding bells in the near future? Then you should start doing your research on the very best wedding venues located on Long Island! This isn't something you can just throw together and plan out quickly! Your wedding day is supposed to be one of the most special and remembered days of your life! Ensure that you're getting what you want, how you want it, at the place you want it all to happen. Make sure your big day is remarkable, goes smoothly, and is everything you’ve imagined it to be since you were a kid growing up, by checking out these various venues around the Island! You’ll enjoy 8 acres of pristine landscape, a venue designed like an English manor, vaulted ceilings, private ballrooms, not to mention a luxurious 145-suite hotel and award-winning restaurant, if you’re looking to plan your wedding day at Fox Hollow in Woodbury! Famous for its charming chapels, wonderful water views, spectacular sunsets, gorgeous gardens and whimsical waterfalls, Windows on the Lake in Lake Ronkonkoma is the perfect spot for your looking out onto the water wedding! This picturesque location, with beautiful ponds, magnificent waterfalls, a garden chapel (and more) is the perfect place to say, “I do.” The English Victorian style mansion, complete with traditional country club banquet rooms, provides an ideal setting for any wedding. You’ll be dying to go and snap some unforgettable photos with this superb facility as your backdrop! Let Bridgeview Yacht Club make your big day an affair to remember with their cozy indoor lounge and spacious outdoor deck! Conveniently located on Barnum Island Wharf, all of the glass windows of the yacht club provide breathtaking views of the surrounding waters! Whether your guest list is 50 people or 300, Bridgeview Yacht Club is ready and eager to work with you to make your day extra special. Make unforgettable memories at this spectacular venue that brings Manhattan glamour and South Beach style right to Long Island! With the perfect mixture of romance and sophistication, Chateau Briand is a venue unlike any other and will have your guests raving for months to come! Choose a backdrop of Spanish-deco architecture, manicured greens, and calming Lake Success waters, by planning your wedding at Village Club at Lake Success! Located less than 20 miles from New York City, and easily accessible from all points of Long Island, you cannot go wrong with this venue’s location and impeccable quality. You’ll adore having your big day take place at this newly renovated Tudor-style mansion, with panoramic views, situated on the Great South Bay in Sayville! 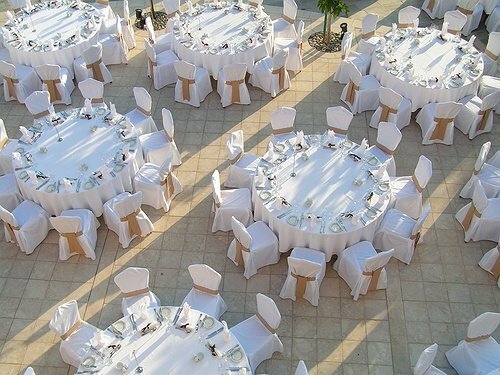 The combination of elegance and seaside charm encompass the perfect Long Island wedding venue! Located on the beautiful North Fork of Long Island, this magnificent 50-acre winery estate with exquisite gardens and gazebos, complemented with impeccable white glove service, is not to be crossed off your potential wedding venues list! Bayview House, overlooking the Great South Bay with breathtaking panoramic views of the water, is an ideal location for your special day! Their private, elegant wedding hall has crystal chandeliers, an atmospheric fireplace, cathedral windows, a spacious dance floor, and more! Capture the beauty and feel of Long Island's Gold Coast by having your wedding at Watermill in Smithtown! Experience their secluded gardens, mesmerizing waterfalls, romantic gazebos, baby grand piano, and more when you go to visit! From big banquet rooms to well manicured gardens, to customizable gourmet menus and 10-foot high waterfalls, Mediterranean Manor in Patchogue is a superb setting for your big day! Let Mediterranean Manor turn your dream wedding into a reality! Where are you planning on having your Long Island wedding? Have you planned a past wedding at one of these venues? Let us know in the comments below! Subject: LongIsland.com - Your Name sent you Article details of "The Inside Scoop on Long Island's Hottest Wedding Venues"